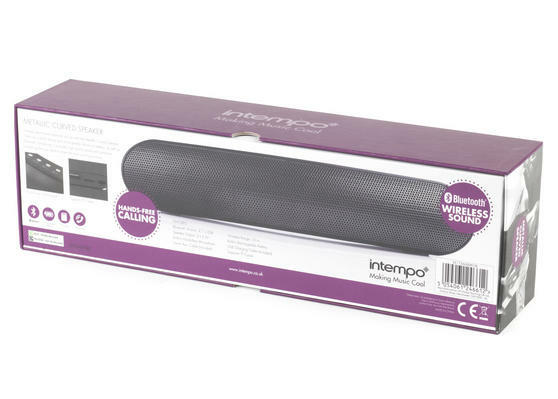 Turn the music up and listen to your favourite tunes in style with this fantastic Intempo Curved Speaker. 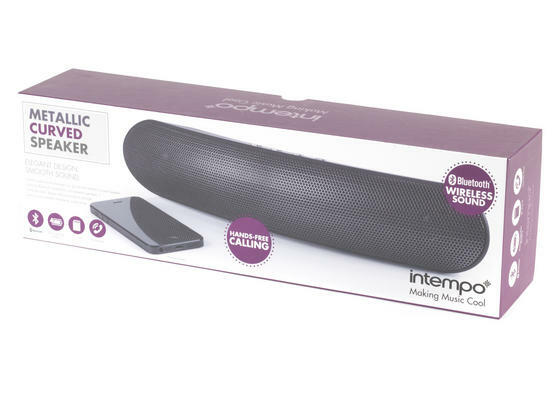 Featuring Bluetooth technology, it enables you to connect your MP3 player, Smartphone or tablet wirelessly and enjoy great music instantly, while the built-in microphone allows you to make hands-free phone calls using the speaker. 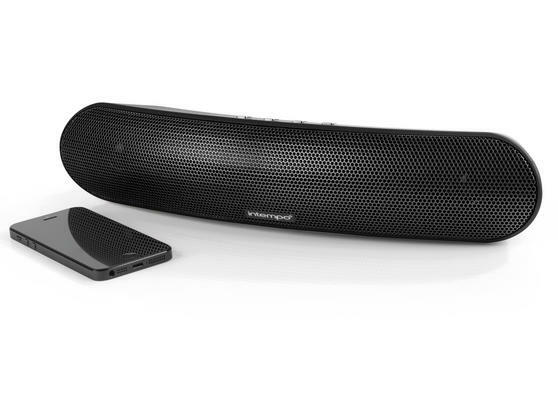 With smart black styling, a sleek curved design and a rechargeable battery, you can easily carry the speaker with you and enjoy wireless music wherever you are. 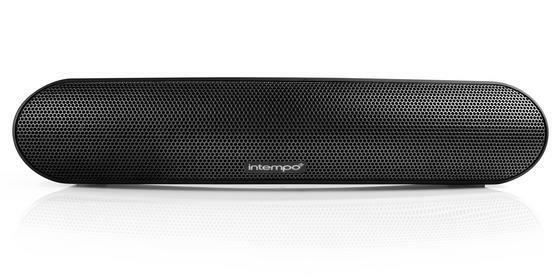 Get the party started with this Intempo Curved Speaker which has a metallic black shell for stylish portable music with great sound. 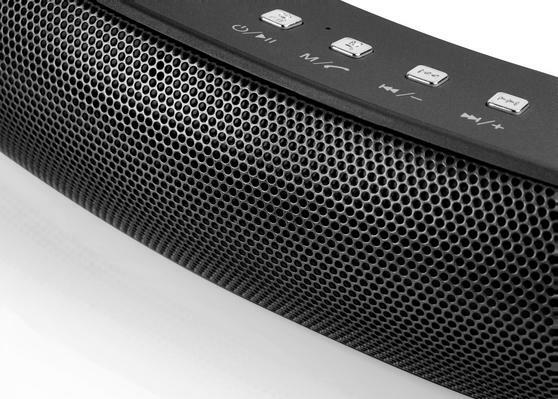 It has a Bluetooth range of 10 metres, a 10W speaker and a 3.5 mm aux. 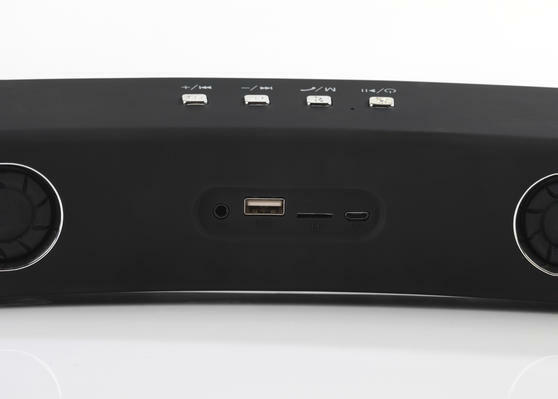 cable so you can easily connect up with most music players. The rechargeable battery gives the speaker up to 8 hours of wireless play time, so you can get the party started in style.